Do you still have your BEAR goggles on? 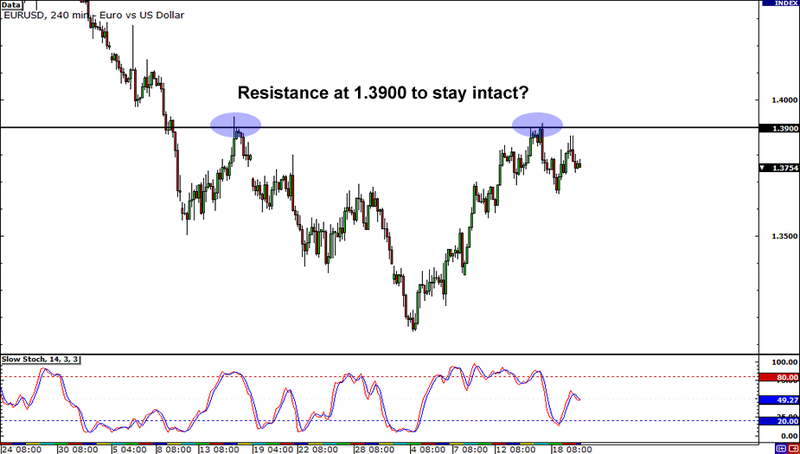 Then you might be interested in this EUR/USD setup! The 1.3900 major psychological handle has been a key resistance level in the past, so it may be wise to keep an eye on it, especially since price is still within striking range. Just remember to wait for confirmation from candlesticks before you act! Given the recent volatility we’ve been seeing, the market could very well be gearing up for a breakout. It’s better to be safe than sorry! Here’s one for all of you range lovers out there! 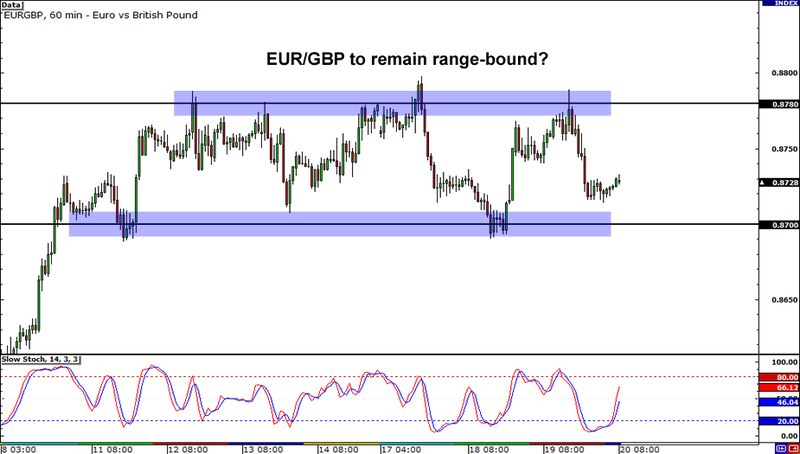 EUR/GBP has been zigging and zagging between .8780 and .8700, and it has established a pretty solid range in the process. If you think it’ll remain range-bound, you may want to consider buying in the area of .8700 and selling at around .8780. Just remember to practice smart risk management and use stop losses, folks! 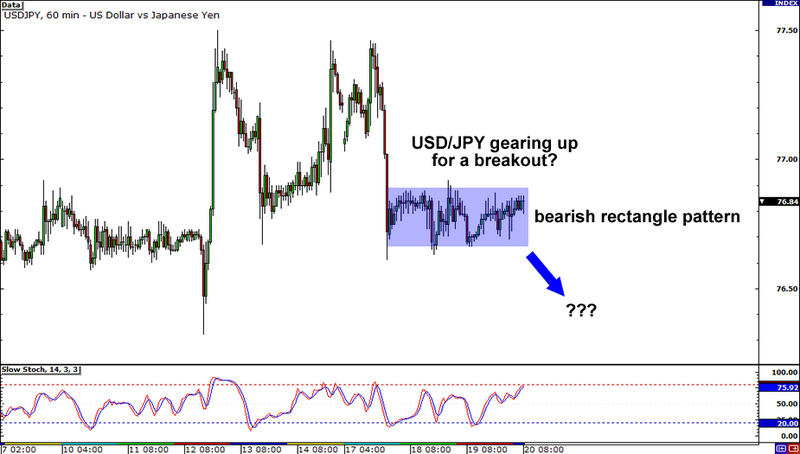 USD/JPY bears seem to have taken a break after pulling the pair down sharply from resistance at 77.40. Now might be your chance to catch a big move! The pair looks as though it’s gearing up for a breakout as it has formed a very tight rectangle. The question is, will it break up or down? Since the rectangle was formed after a bearish move, the bias is for a downside breakout. But you know as well as I do that the markets are unpredictable. If you’re hell-bent on playing the breakout, you may want to straddle the rectangle and be open to both upside and downside breaks. Good luck, homies!